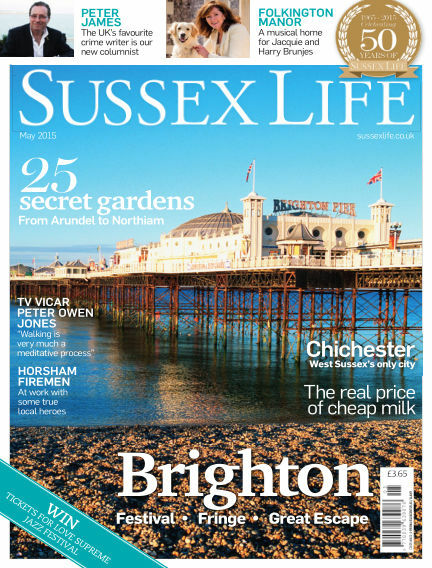 In this issue of Sussex Life : Brighton: Festival, Fringe, Great Escape - 25 Secret Gardens: From Arundel to Northiam - The real price of cheap milk - Peter James: The UK's favourite crime writer is our new columnist - Chichester: West Sussex's only city - Horsham Firemen: At work with some true local heroes - Folkington Manor: A musical home for Jacquie and Harry Brunjes - WIN Tickets for Love Supreme Jazz Festival. With Readly you can read Sussex Life (issue May 2015) and thousands of other magazines on your tablet and smartphone. Get access to all with just one subscription. New releases and back issues – all included.